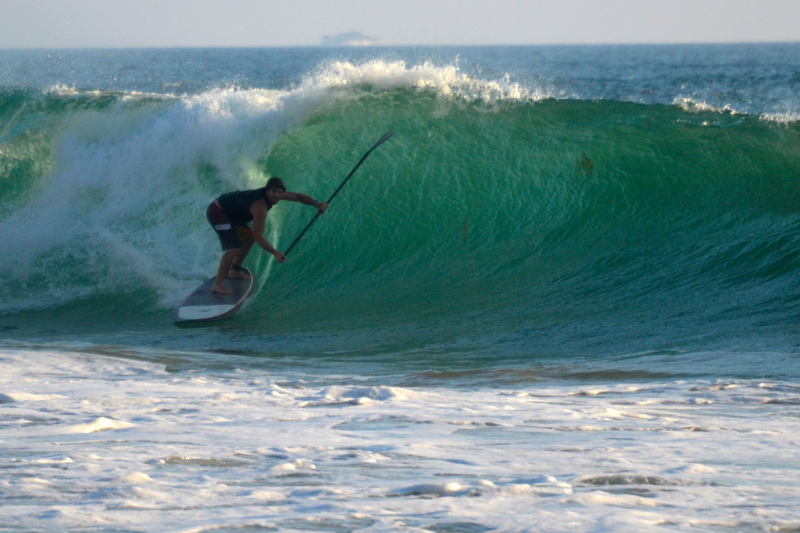 Stand Up Paddle Surfing: Southern Orange County Beach Break Stand Up Paddle Surfing: WB charging! Southern Orange County Beach Break Stand Up Paddle Surfing: WB charging! "Hobie 8.6... Kinley broke his Nectar here on a different day. Once, I got pinned to the bottom for a fifteen count. Lucky for us it's a sand bottom but sand can still break your neck. You can see me starting to unweight the front edge here- basically a survival move. A big toe's worth of pressure on that front inside rail and you pearl up to your ballzack, then it's a face full of sand and you get flexed into a pretzel. My home break, love it!" WB is the man at TAB! No way im taking Spicollisan there! That little wedge is like Waimea Bay shorebreak-you can feel your stringerless-carbon rail board actually tremble as you paddle out-not for the faint of heart or the stringerless of board.